The Surf Coach Safety and Rescue Award is specifically designed for outdoor water-sport instructors looking to gain the required level of lifesaving expertise! This course is the minimum lifesaving prerequisite for surfing, coasteering, bodyboarding, SUP and adventure instructors who will be responsible for taking groups into the sea. Join us at Newquay Activity Centre for comprehensive instruction about core beach and sea safety techniques, first aid, surf rescues and life support. 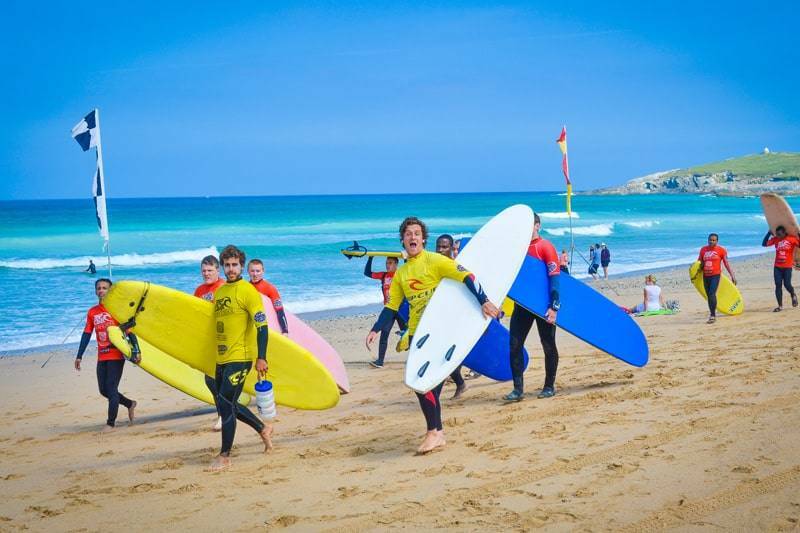 After the series of theory and practical sessions, you will have a thorough knowledge of surf coach safety, rescue scenarios, how to effectively assess physical condition and carry out the practical aspects of surf lifesaving. This qualification will ensure you reach the essential level of lifeguarding proficiency required for entry-level surf and outdoor activity instructors. It can also be combined with the International Surf Association (ISA) coaching qualification. Check out our course combination week and complete your ISA Level 1 and Lifeguard courses together for £550pp.